What is the barrier? Why do I need to be born again? How can I be saved? Why did Jesus have to die? Can I commit the unforgivable sin? Can I lose my salvation? How do I live in fellowship with God? This essential series answers these questions, giving a foundation for the rest of the BBS Course. In this series, Roger builds a framework detailing both why we need salvation and what the nature of this salvation is. After looking at the barrier between God and man, the challenging topic of eternal security is discussed. First the terms are defined and then the passages both seemingly in support and opposed to it are tackled, whilst looking at the judgement of believers' works. The series concludes with 3 excellent talks on maintaining fellowship with God. he complete set of 14 talks are now available on MP3 CD-Rom. Save more than 22% compared to the tape/CD price. Note that this is an MP3 CD not an audio CD and will only play on a computer or MP3 CD Player. The complete set of 14 talks on CD. A foundation study for the whole BBS Course. The Bible as the only authority for our lives. The language of the New Testament; how God used Alexander the Great - and did you know that 'if' can have four meanings? Six enormous obstacles to communion between fallen man and God - all insurmountable by man. Your problem is presented in simple terms. Here, Roger explains the necessity of the Virgin Birth, showing clearly that without it we could have no salvation. An essential study. Did you know that fallen man is a slave? Here we see the price that God paid to buy us our freedom. In this study, Roger explains the way in which God dealt with the penalty of sin. The placing of our sin on Jesus caused Him to scream and by His suffering our sin was replaced by His righteousness. BBS 06: Why Be Born Again? A discussion of the dialogue between Jesus and Nicodemus - a crucial message, for only by the second birth can man receive eternal life and be delivered from the wrath of God. How, through His death, Jesus satisfied the demands of His Father's righteousness and justice. God can now be satisfied. Never again need you be worried by ignorance or misinformation about this important subject, as Roger very clearly explains what the Unforgivable Sin is and who do and don't commit it. Pt 1:Calvinism and Arminianism. The calling and foreknowledge of God and the intercessory work of Christ. Holiness of life through the grace of God inspired by the revelation of the word of truth and the life of Christ in us.Pt 2: The principles of Eternal Security. God's plan of salvation seen in relation to His omniscience, the nature of His gift, the work of Father, Son and Holy Spirit and the family relationships into which every child of God is brought. Pt 3: Mis-applied and mis-interpreted scripture. Confusion between the discipline of believers - particularly the sin unto death - and the judgement of believers works. This final talk also covers scriptures often taken out of context. Passages dealt with include Heb 6:4, Heb 10:26 and John 15:2. Calvinism and Arminianism. The calling and foreknowledge of God and the intercessory work of Christ. 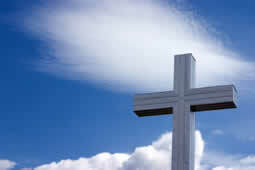 Holiness of life through the grace of God inspired by the revelation of the word of truth and the life of Christ in us. The principles of Eternal Security. God's plan of salvation seen in relation to His omniscience, the nature of His gift, the work of Father, Son and Holy Spirit and the family relationships into which every child of God is brought. Mis-applied and mis-interpreted scripture. Confusion between the discipline of believers - particularly the sin unto death - and the judgement of believers works. This final talk also covers scriptures often taken out of context. Passages dealt with include Heb 6:4, Heb 10:26 and John 15:2. Being in fellowship with God is simple. Our trouble is that we make it complex. An exploration of the depths of Gods grace. Are you in fellowship with God? A vital study. Roger shows how this verse brings meaning into the ups and downs of everyday life, and reassures us that God has a plan for our lives. This talk, like the previous one, deals with a principle essential to our daily walk with God. A study in legalism. How Jesus gently shows the bankruptcy of man's system of morality and our dependence upon His grace for our salvation.